TE Connectivity recently awarded a $13,100 grant to FLITE. 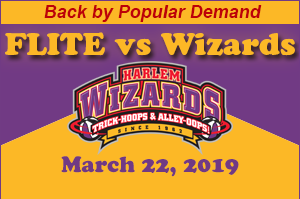 The donation will be used to fund participation in summer STEM camps and graphing calculators for TESD middle and high school students who otherwise would not access to these important educational opportunities and technologies. 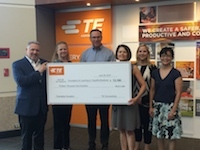 This is the sixth consecutive year that TE Connectivity has provided a generous donation to FLITE to support local education. Funding for this program was facilitated through TE’s Community Ambassador Program. This program empowers employees to give back to local communities across the world. TE Connectivity Ltd. is a global provider of connectivity and sensor technology solutions, with over 200 employees at its administrative headquarters in Berwyn, PA and 80,000 employees in 50 countries.